This safe, positive, and fun space is for young trans people and those exploring their gender identity. We meet bi-weekly on a Wednesday from 5.30-7.30pm in the Ombudsman for Children’s Office, 52 Strand St Great, North City, Dublin 1. We get up to all sorts of activities at the group. To give you a taste of what we’ve been up to here are some of the activities and talks we have carried out so far: self-portrait photo project, clothes swaps, amusement arcade trip, discussion on the Gender Recognition Act, an ice-cream think tank, and group lead explorations around all things to do with transitioning and being a trans young person. Here you will find a safe, positive, and fun space where trans youth can relax, be themselves, and make friends. 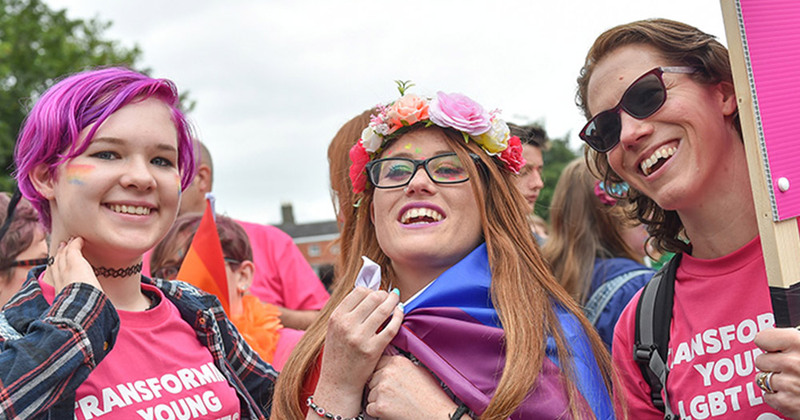 “I had met a number of Trans people in Ireland, and they had all been very welcoming and inclusive. However, the majority of them were quite a good bit older than me, and I really welcomed the opportunity to meet people who were closer to my own age and therefore see transitioning in a similar way to me.